Southeast exposure offers beautiful emerald green fairway views of the fifth hole of the Desert Course at The Vintage Club in Indian Wells. 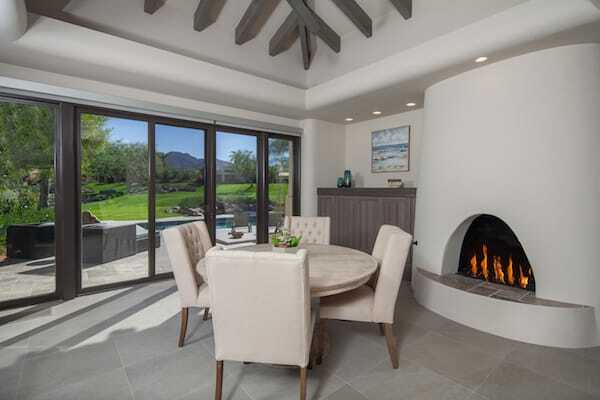 The step-down living room features a fireplace and easy access to the patio. 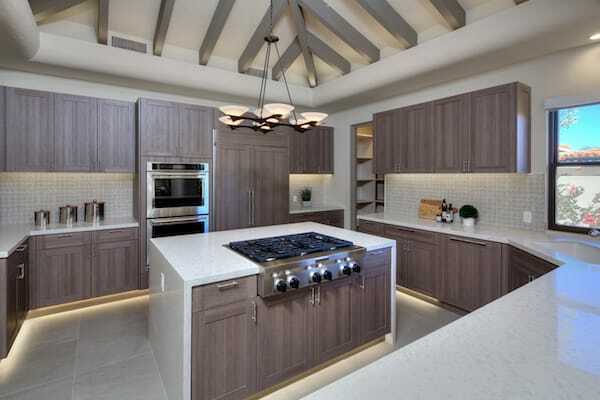 Located within The Vintage Club, an ultra-exclusive golf course community in Indian Wells, is the newly reimagined residence that you have been searching for and it is now available for purchase. 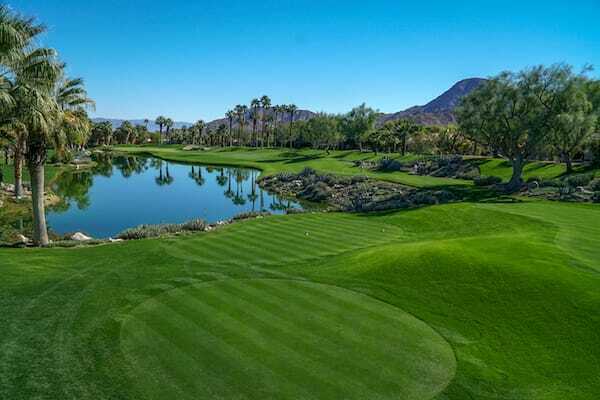 Southeast exposure offers beautiful emerald green fairway views of the fifth hole of the Desert Course that also includes a tranquil and meandering lake, in the short distance are the rugged Santa Rosa Mountains. Originally designed by desert architects, Holden and Johnson, the classic California Hacienda architecture of this nearly 4,500 square foot home provided a stellar foundation for builders, My Desert Properties, to express their vision for a crisp, clean, and welcoming retreat. The hand-selected design materials by Interior Designer, Steven Cheroske, and the furnishings and accessories included compliment the desired goal of the team. With welcoming curb appeal, entry to the home is through custom privacy gates and a cheerful courtyard with sitting area and soothing water-fountain feature. The most prominent feature of the home captures your attention by the designer’s addition of stacked windows that open to reveal the stunning fairway and lake views you embrace as you step through the custom designed double-door entry. The floor plan, all on one level except for the step-down living room with fireplace, offers a spacious master suite plus three guest suites, each with a newly remodeled ensuite bath. Indoor-outdoor living is easily accomplished at this home. 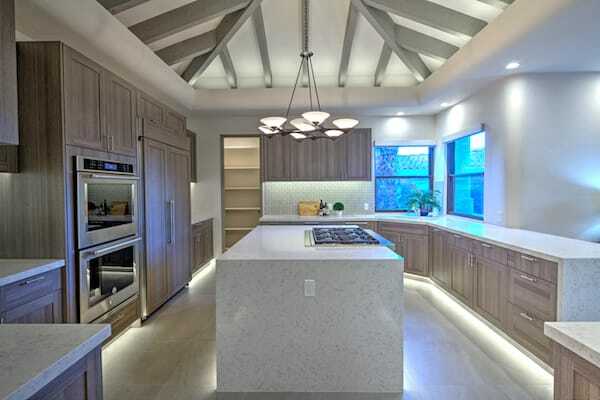 The recently renovated and modern kitchen features custom lighting elements, top-of-the-line appliances, a convenient center island and is open to the cozy morning room with fireplace and patio access. 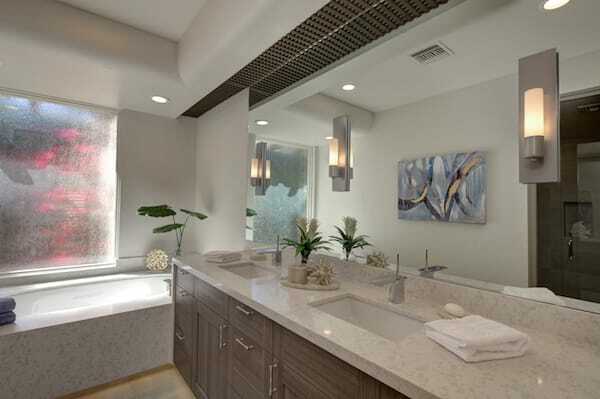 The walk-up bar with refrigeration unit and the formal powder room are well located in the home. The new laundry room features a new washer and dryer. The upgraded pool and spa allow for family fun in the desert sun throughout most of the day. The garage is attached and is easily accessible from the side yard driveway. View of the fifth hole at the Desert Course. All new landscaping, with water conservancy is mind, surrounds this home that is conveniently located directly across from the Club’s dog park. The Custom Homes are one of five residential product types located within The Vintage Club, an exclusive golf course community featuring the very finest in club amenities including two 18-hole Tom Fazio designed golf courses. The Club also contains a Wellness Spa facility featuring a state-of-the-art fully equipped gym, personal training, Yoga, Stretch and Flex, beauty salon offering a menu of services. The Swim Center features a resort-style pool with 2-75’ lap lanes and a Tennis Complex with 11 tennis courts. Special member benefits include the Member Enrichment Program, which promotes member comradery through special events and excursions on and off campus. New this past season are two bocce ball courts, Shuffleboard and the very popular Pickle Ball court. Within the community there are five dining options from the Grab-n-Go Vintage Market, casual dining in the Palm Court Restaurant or the Lake View Grille, to alfresco dining on The Pointe or fine dining within the Crystal Ballroom, each a culinary experience. The morning room offers comfort and spectacular views. Security is unsurpassed. The Club is owned and managed by the members of the Club. Membership is limited to residents only. All listings are shown only by appointment through the onsite office and some listings require 24+ hour advance notice. All information herein has been provided to the broker by others and is deemed reliable but is not guaranteed. Square footages are approximate, prices are subject to change. Ownership of property does not include a membership in The Vintage Club or the right to use any Club facility.